My proposal to Olga & Eva could not have gone better (to see the proposal and why it involved 2 women, watch the video above). Everything went exactly according to plan. But making sure it happened that way was not an easy task. I had hired Greg LeBon, the brilliant sand sculptor from who built the sand castle you see in the video, as well as director to get the proposal on film. But it was not feasible for the three of us to meet beforehand in Malibu to plan everything out, and Greg had never been to the proposal site. And it’s not like I could have walked Olga over to the proposal site for a dress rehearsal of the proposal You only get one shot at a proposal and things unfold very quickly in real time. As a result, everything had to be meticulously planned out beforehand. I tried describing the site and explaining where I wanted the castle built and the cameras situated, but it was impossible to get exactly what I wanted across on a phone call or in email. to the rescue. If you haven’t downloaded Skitch, which is now part of the family, you MUST. Skitch is an easy-to-use, FREE app that helps you capture, edit and markup your screen captures and images with shapes and comments. I use Skitch all the time to communicate with my designer and developer when we are reviewing design comps and functionality for coming features to , or when I want to make simple changes to the existing site. Since I am not a designer myself and have no familiarity with any of the design programs that would allow me to mark-up screenshots and photos, Skitch has been an indispensable resource for me. It hasliterally saved me hours upon hours of time that I used to spend drafting detailed emails describing what I wanted. Thanks to Skitch, with a quick arrow, circle, and text I can accomplish the same thing in a matter of seconds. For my proposal plans, I used Skitch to show Greg and Noam exactly where I wanted the sand castle built in relation to the restaurant and parking lot, and where I wanted the cameras during the proposal itself. A few days before the proposal, I emailed them the two pics below, which I created in Skitch. Pic #1 – This showed where I wanted Greg to build the sand castle in relation to the parking lot and beach. I wanted the castle to be far enough away from the pier and restaurant to avoid as much foot traffic as possible, but at the same time have it close enough that my family (including my 90 year-old grandmother) would be able to join us afterwards for pictures. Pic #2 – This showed the path Olga, Eva, and I would take to the sand castle, where I would attempt to position us during the proposal itself, and from what angles I hoped Noam would be able to shoot the proposal. It was also important that the “Will You Marry Me?” writing on the castle was not visible from a distance, as I didn’t want Olga to have any idea that the sandcastle was my way of proposing until we had walked up to it. Obviously, my illustrations skills even in Skitch are laughable, BUT it did get the point across and allowed me to plan this amazing proposal. Indeed, if you watch the video at the top of this post, you’ll see that they were able to accomplish exactly what I had illustrated in Skitch. 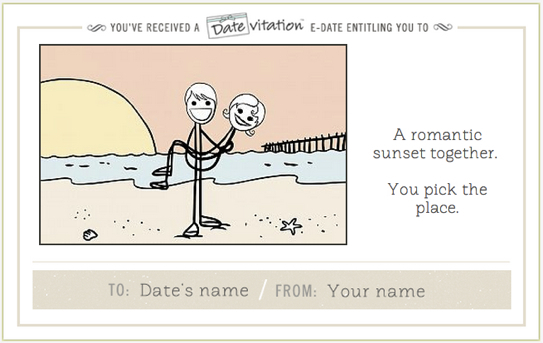 So thank you Skitch for building such incredible software, and playing a role in the planning of my marriage proposal. I’m also a huge fan of Skitch’s parent company, Evernote. 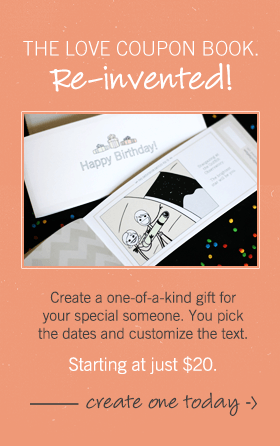 If you haven’t read my post on how to pick the perfect gift using Evernote, you can check it out ! Sign up to be the first to know when we post another great date idea in your area! It's free, and we won't spam you! Enter your email and zip below to get Free Instant Access to our FREE step-by-step video guides to 10 romantic actions you can take to make your sweetie's day. You’ll also receive our free monthly newsletter with exclusive tips, tricks and how-to's that will keep your relationship fresh and exciting. You’ll love us for it! you'll win a free datevitation gift book. Home / Browse library / Gallery / FAQ / About us / Contact us / Policies & Legal © 2019 Datevitation, Inc.